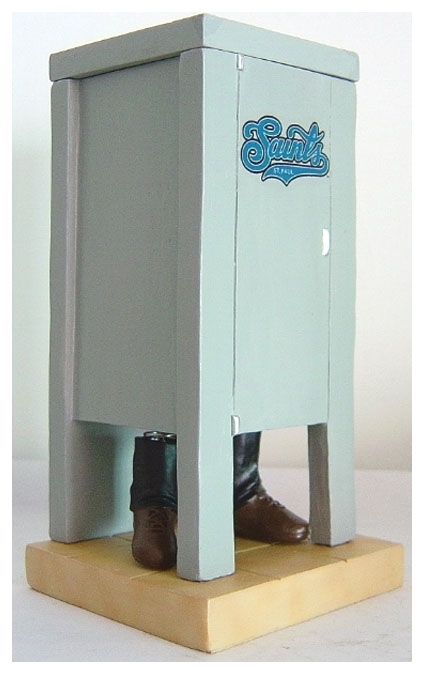 MAY 22--Capitalizing on Senator Larry Craig's restroom bust, a Minnesota minor league baseball team this Sunday is giving away a promotional item celebrating the Republican politician's arrest last year at the Minneapolis-St.Paul airport. 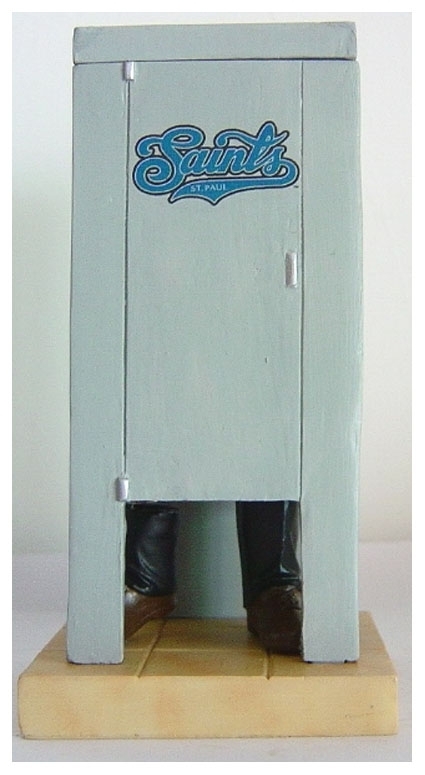 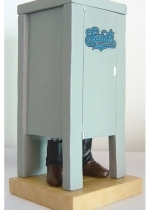 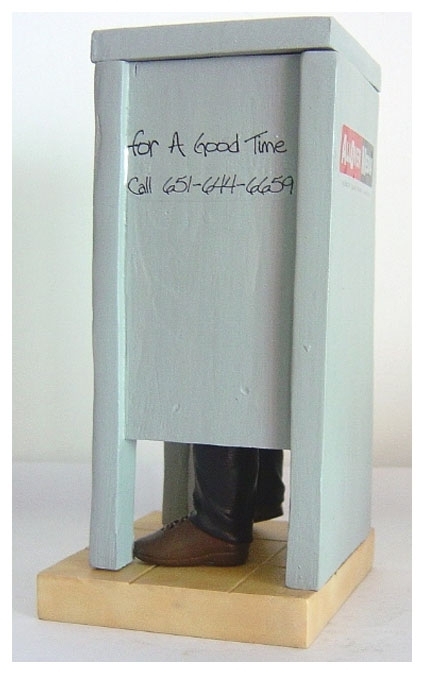 Dubbed a 'bobblefoot' (as opposed to a bobblehead doll), the polyresin giveaway depicts an occupied bathroom stall (the inhabitant's pants and shoes can be seen below the stall's panels). 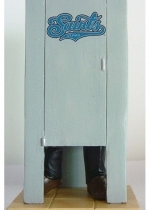 When the St. Paul Saints's 'bobblefoot' is shaken, one of the spring-loaded feet taps. 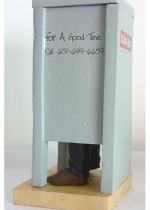 The keepsake, which will be handed out to the first 2500 fans attending the Saints's May 25 game against the Fort Worth Cats, can be seen here and on the following pages.